The Venetian Vase celebrated its sixth birthday recently. In those six years, I’d say about 40 to 50% of the posts have been about James Ellroy. Of course I enjoy blogging about other forms of crime or genre fiction, from the James Bond films to Scandinavian crime fiction and even niche subjects like Eurosceptic and anti-Establishment fiction. However, I have been researching Ellroy’s life and work for years. He’s the subject of my PhD, and I have edited one book and written another on the author, so I was able in that time to keep this blog updated with elements of my ongoing research on Ellroy. Therefore, I’ve decided to create a new archival page on this blog featuring all of my substantial posts on Ellroy. You’ll find the new James Ellroy page at the top of this website next to the Books, About and Contact pages or simply follow this link. 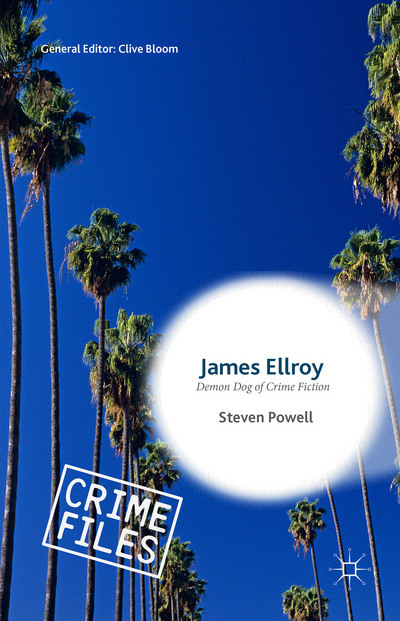 My new book James Ellroy: Demon Dog of Crime Fiction is published by Palgrave Macmillan as part of their Crime Files Series. I’ll be blogging a lot about the book nearer its October 21 release date. Meanwhile, you can find information on the book and pre-order a copy from Palgrave’s website or Amazon.